Shotgun start — time to play golf! 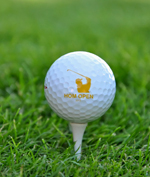 This year the HOM Open will once again support Minnesota Adult & Teen Challenge. MnTC Philosophy: Minnesota Teen Challenge is founded on firm moral principles grounded in the Bible. Minnesota Teen Challenge believes and promotes these principles as put forth in the Scripture, as the basis and foundation for healing, restoration and life recovery. MnTC Mission: To assist teens and adults in gaining freedom from chemical addiction by applying Biblical principles in establishing a chemical-free lifestyle, enhancing social skills, improving work habits, building supportive relationships, and growing in personal relationship with Jesus Christ. In addition to Minnesota Adult & Teen Challenge we will be partnering with charitable organizations in each of our non twin citie metro showroom communities of Fargo, ND, Sioux City, IA, Sioux Falls, SD, Eau Claire, WI, Onalaska, WI, Rochester, MN and St. Cloud, MN.